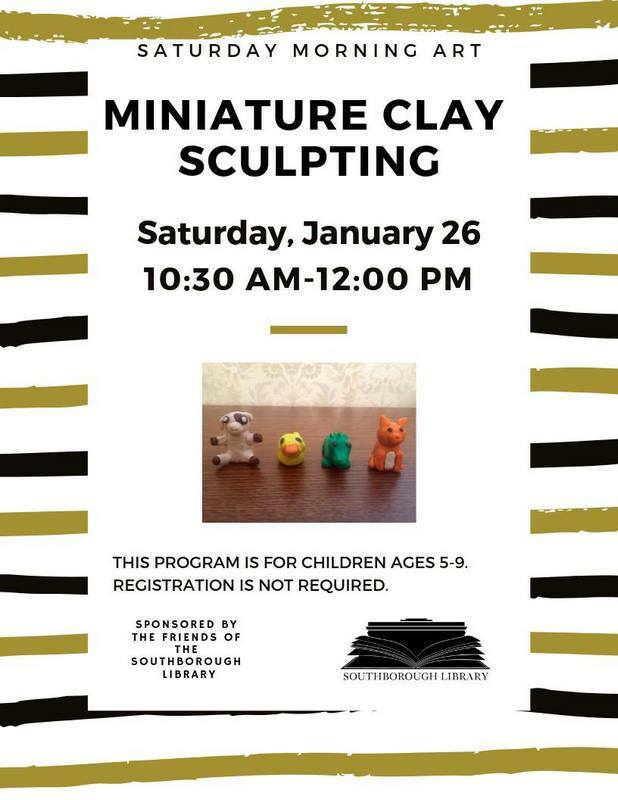 The Southborough Library is continuing it’s free Saturday Art Workshops series for kids. Workshops are run by town art instructor Lanting Huang-Truong of Bigelow Center for the Arts. The drop-in craft program is taking place monthly through May. 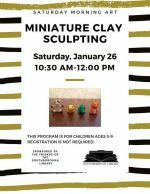 It is geared for 5-9 year olds, but siblings are welcome. The Saturday events are open for drop-in between 10:30 am and noon. The next session is a week from tomorrow. The series is sponsored by The Friends of the Southborough Library. No registration is required. Update (1/20/19 8:33 am): An eagle-eyed reader noticed that I had the wrong date listed for April. I double-checked, and the other dates are correct.